Say “I do!” in one of the world’s most beautiful places. Lakeside Lodge and Spa is a small luxury hotel set on the banks of the Swartvlei Lagoon outside Sedgefield. It is surrounded by the virgin forests and lagoons of the Wilderness National Park. A place that is at once grand and unspoilt. The hotel is more than a gorgeous backdrop for wedding photographs. It was originally a farmstead and has retained the friendliness one associates with the countryside, but here the similarities end. The interior has been opened up into a series of light-filled spaces and furnished with contemporary classics and original artworks. It has its own adjoining spa and a fine restaurant. • Our wedding coordinator will meet with you to discuss your requirements. • A personalised wedding plan will be drawn up. • Our talented pastry chef will bake your wedding cake. 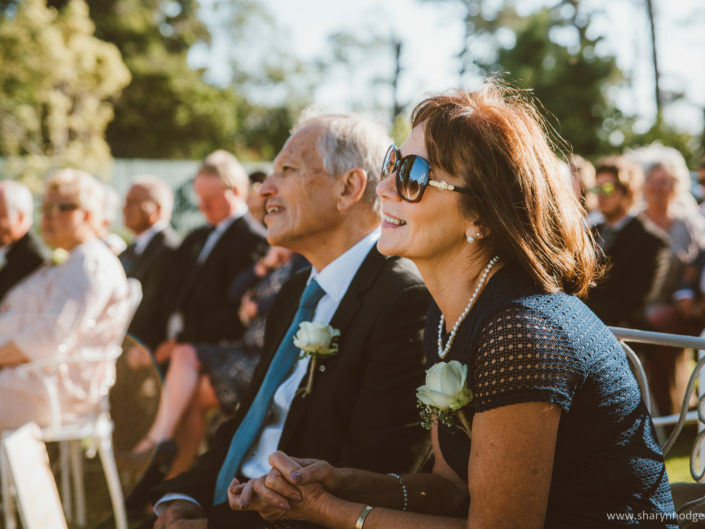 • Let Lakeside Lodge’s unspoilt surrounds serve as the backdrop for your wedding photographs. • The hotel’s lounge as well as the Benguela Brasserie restaurant is available for hire for the entire day of the wedding. Make use of our amphitheatre, immaculate grounds, lagoon banks, or take a stroll in the surrounding Wilderness National Reserve. • We also have a romantically appointed Honeymoon Suite designed for this special occasion. Features include a king-size extra length four-poster bed, a cosy sitting area, a spacious bathroom with jacuzzi bath and walk in shower and a private patio with views of the Swartvlei Lagoon. Further treats include a complimentary breakfast, wine tasting, delicious tea and treats sent by the chef. • Lakeside Spa offers a special pamper experience for honeymoon couples. The Honeymoon Package entails 195 minutes of bliss, an outdoor massage, one therapist per person, a facial, manicure or pedicure, and glass of Benguela Cove’s superior chardonnay. Lakeside Lodge is a multi-purpose venue. Our tranquil lakeside setting can accommodate 80 people. It is ideal for executive ‘brainstorming’ weekends, seminars, product launches, art exhibitions and theatrical productions. Please contact us for a site visit and to brainstorm your next event. Say “I do!” in one of the world’s most beautiful places. Lakeside Lodge and Spa is a small luxury hotel set on the banks of the Swartvlei Lagoon outside Sedgefield. Surrounded by virgin forests and the lagoon of the Wilderness National Park, the hotel is more than a gorgeous backdrop for wedding photographs. It has its own adjoining spa and a fine dining restaurant. The open plan interior is filled with light and furnished with contemporary classics and original artworks. - The hotel’s lounge as well as the Benguela Brasserie restaurant is available to hire for the entire day of the wedding. - Make use of our amphitheatre, lagoon banks, or take a stroll in the surrounding Wilderness National Reserve. - Let Lakeside Lodge’s unspoilt surrounds serve as the backdrop for your wedding photographs. - Our Wedding Coordinator will meet with you to discuss your requirements. - Our talented pastry chef will bake your wedding cake. - A personalised wedding plan will be drawn up. 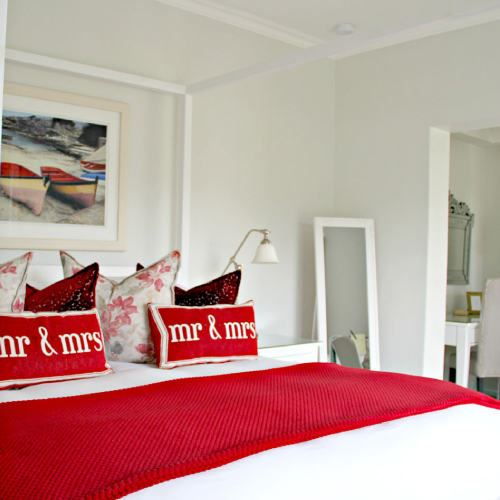 We have a romantic Honeymoon Suite designed for your special occasion. Features include a king-size, extra length, four-poster bed, a cosy sitting area, a spacious bathroom with jacuzzi bath, a walk in shower and a private patio with sensational views of the Swartvlei Lagoon. Lakeside Spa offers a special pamper experience for honeymoon couples. The Honeymoon Package entails 195 minutes of bliss, one therapist per person, a facial, manicure or pedicure, and glass of Benguela Cove’s superior chardonnay.